Unbeknownst to me at the time, we started the road to the Zero Waste kitchen when we bought a compost bin. Back in 2003, I just wanted to start making my own soil and stop paying a lot for garbage service! Since then, we’ve started practices that got us hooked onto finding ways we could increasingly decrease the garbage we created in the kitchen. Way #5 Start the road to a Zero Waste kitchen by changing one thing/practice at a time. paper napkins with cloth napkins – from Kohls Department store clearance racks (using my 30% off coupon, of course!) and make-your-own. (2006) I started when the kids were young. Dear Husband eased into it just fine. The next item was not so easy with him. plastic wrap with Beeswrap from a friend who was selling it wholesale. (2014) It can be found here. Sunflowers that I grow every summer. Aim for Zero Waste to protect healthy soil and clean water. 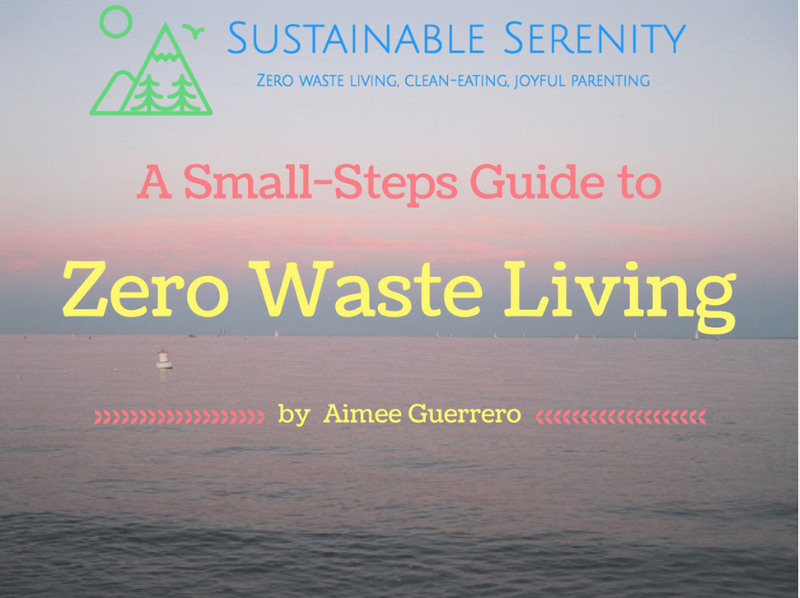 It took me years to get to where I am now, and I am still learning and making new goals aimed at achieving a Zero Waste Home.